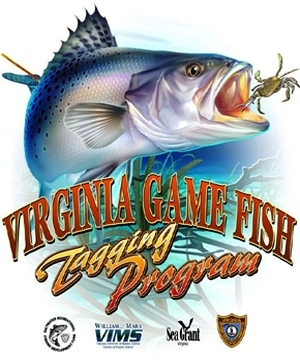 Anglers reporting tags from fish they have captured are awarded pewter fish pins or baseball caps featuring the Virginia Game Fish Tagging Program logo. If you provide an e-mail address, you will receive a copy of the information you submitted. Your e-mail address will not be retained or used for any purpose other than contacting you - and providing it is optional.